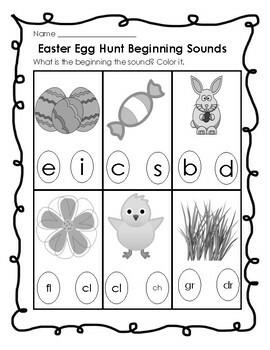 This worksheet includes beginning sounds/ blends of six words. The first three are: e, c, b. The last three are: fl, ch, gr. The pictures are in black and white/ grey so students can color them, after completing the questions.